Nothing to report. We are still waiting on a response from immigration. We appreciate and covet your prayers. 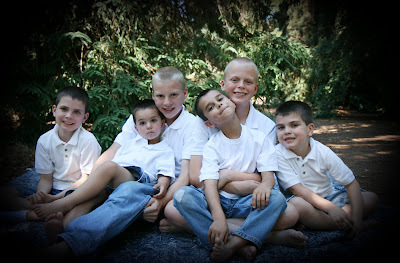 These photos were taken as part of a fundraiser for our adoption. 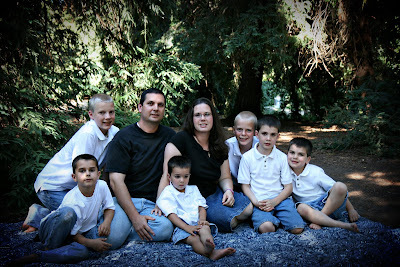 Our generous friend Kimberly at http://kimberlyreneephotography.com did a wonderful job capturing our family. Believe me she had to work hard with these boys! I can't wait to bring the girls home and have new ones taken. We are still waiting on immigration to approve us and send the paperwork needed for our dossier. It is the last piece of paperwork needed before we can send the dossier off. We are having our Tag-a-thon on July 14 and our friend is having a Pampered Chef catalog show for us that will help us raise funds for the adoption. Email us (sheri@fontesonline.com) for more information on either event.